Episode 4 is Out Now! 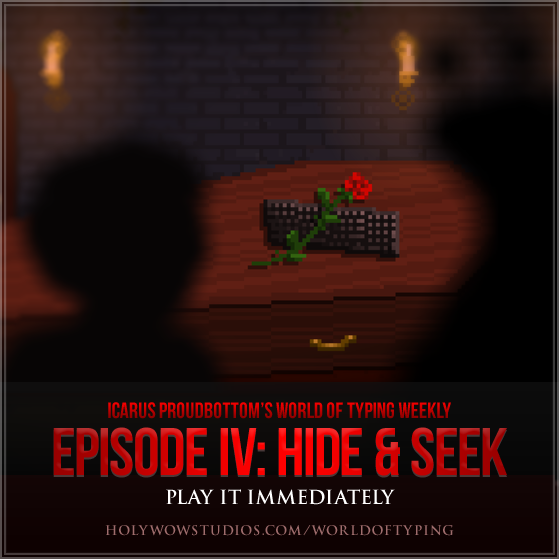 Episode 4 of Icarus Proudbottom’s World of Typing Weekly is ready to play now. Much is revealed in this week’s episode! 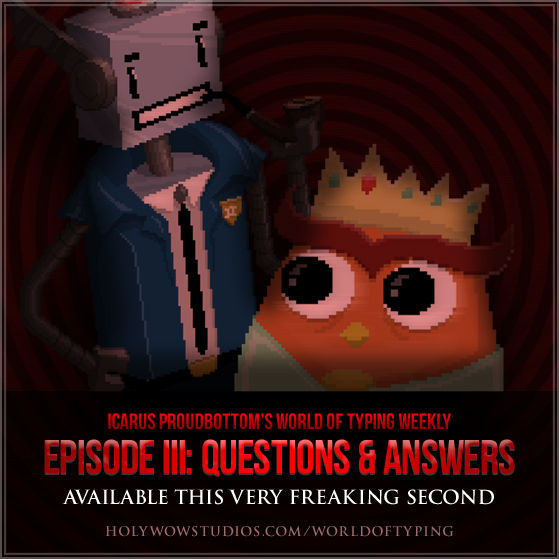 Episode 3 of Icarus Proudbottom’s World of Typing Weekly is live! Episode 2 of Icarus Proudbottom’s World of Typing Weekly is Out! 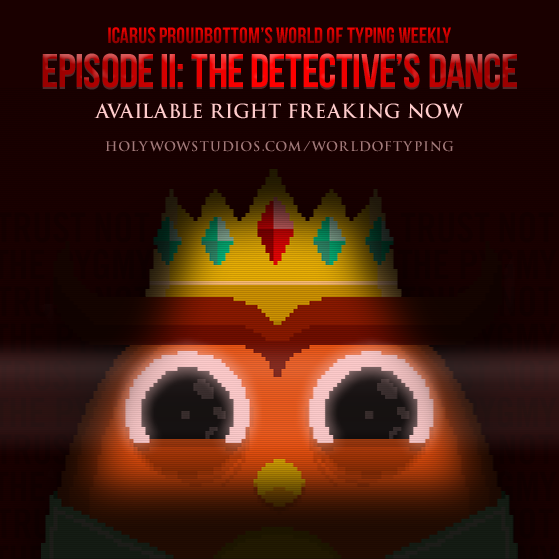 Author Holy Wow StudiosPosted on March 2, 2014 March 17, 2014 2 Comments on Icarus Proudbottom Teaches Typing Sequel! 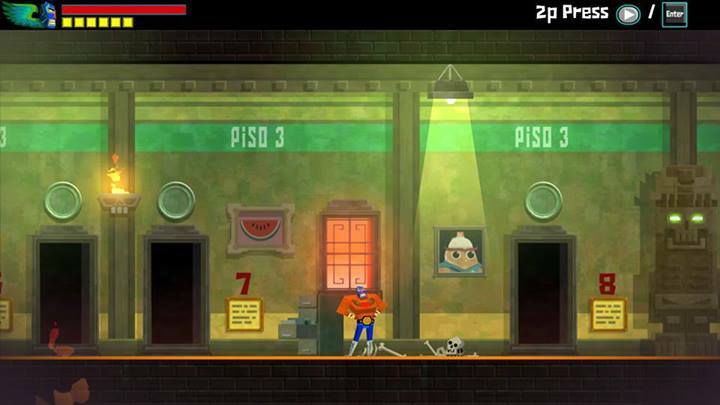 DrinkBox includes Jerry cameo in Guacamelee DLC! Any Guacamelee! fans out there? For those cool enough to have played it, did you catch the lil’ cameo of Jerry Owlkin in the Guacamelee DLC? Check it out! Hi everybody. Previously, because we have no idea how to manage ourselves, our games are scattered all over the place. However, we’re working to get them all together in one place! 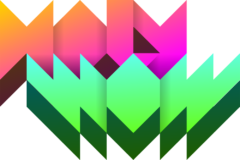 Dig Dig Bit Fury is now playable on this site. 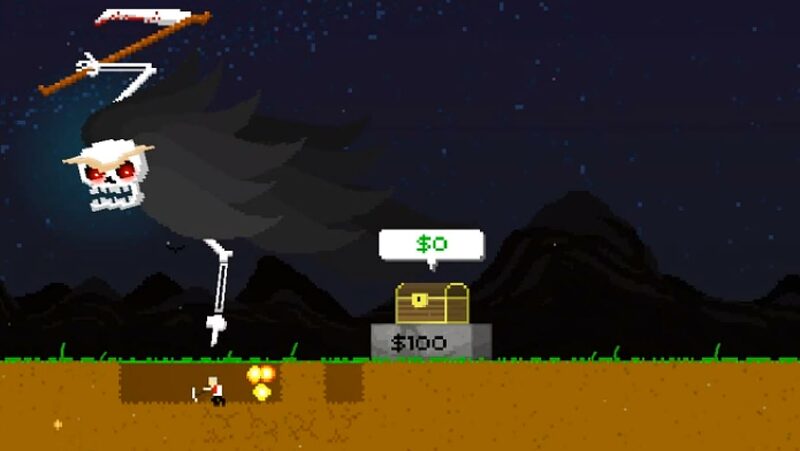 It’s kind of like Terraria meets Pac-Man – you dig for coins, bring them up to the surface, and simply survive as long as you can. Each day, you have to bring more coins to the surface. I like it a lot, although it got dramatically less attention than our Icarus Proudbottom titles. To try it out, click here or use the link in the left nav. Ben Serviss, who writes at Dashjump, is a member of New York City-based Studio Mercato, and is completely insane, wrote a very nice article about Icarus Proudbottom Teaches Typing and game of the year awards in general. Let us Praise this insane man and his Crazy Opinions. Studio Mercato is working on Crystal Brawl, which looks insanely sweet and is currently touring around the northeast in an arcade cabinet. Holy Freaking Crap. New Holy Wow Site. Hi everybody. We’ve switched to a WordPress blog thing for our website because it’s much easier for us to post new content this way, plus now you guys can leave comments! If you hate the new site, leave lots of horrible and annoying comments, and we’ll probably switch back!